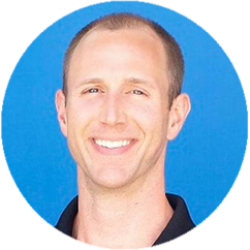 John Heringer is the Chief Motivator of Method3 Fitness, a thriving fitness studio in San Jose, CA, and the founder of StriveApp.io, an online results tracking software for fit pros to help their clients achieve their goals and create social proof on autopilot. John has been in the fitness industry for over fourteen years and loves sharing insights into leadership, marketing and what it takes to build and sustain a purpose-driven business. Since early 2010 John has built Method3 Fitness into a seven-figure business with over 375+ clients and an amazing team dedicated to changing lives, one person at a time.